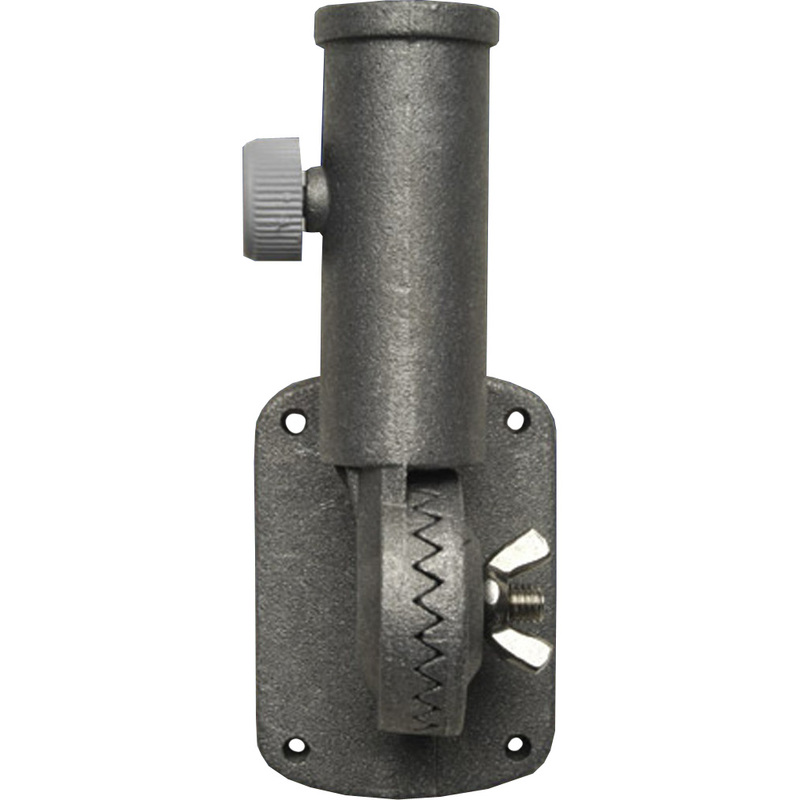 This cast aluminum wall bracket is adjustable to multiple positions for maximum flexibility. The bracket fits any of our 1" flag poles, but includes a thumb screw for a tight fit if your pole is less than 1". Mounting wood screws included.